Since ancient times beauty has been an obsession, each country and time period has embraced its own ideal of beauty. If the Egyptians were devoted to their make up and the Romans had a special reverence to keeping fit, modern society counts with a new ally to achieve physical perfection: Cosmetic surgery. 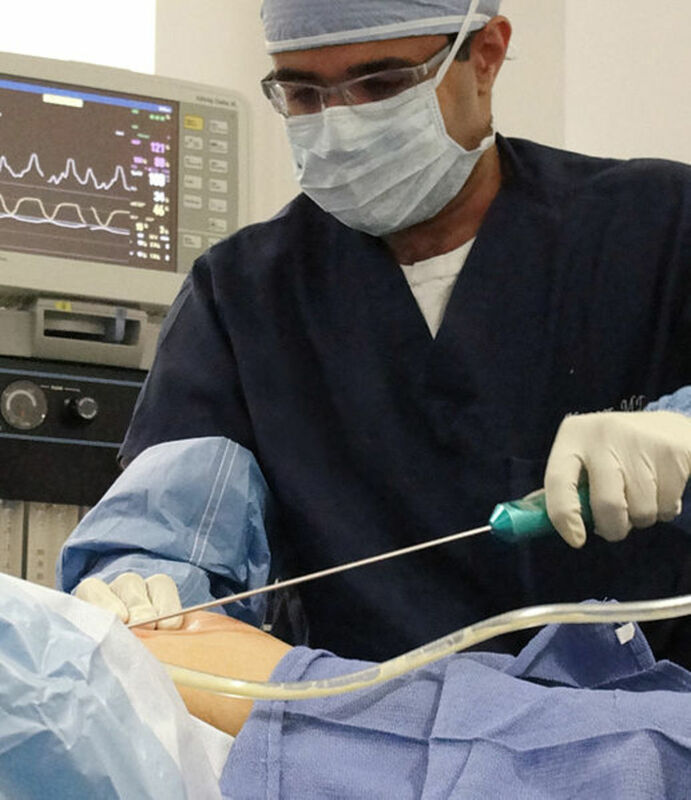 Cosmetic or aesthetic surgery involves techniques intended for the "enhancement" of appearance through surgical and medical techniques. It aims to restore or enhance appearance toward some aesthetic ideal. Despite worldwide economic crisis, the aesthetic surgery market has seen an increase in reported surgical and non surgical procedures. The most demanded procedures being liposuction (in 2007) and breast augmentation (in 2008). While some people undergo plastic surgery (which includes cosmetic and reconstructive surgery) to solve imperfections, other people undergo surgery simply to achieve their ideal of beauty and perfection. But some people become so obsessed with their ideal of beauty that once they start improving their looks through surgery and see for themselves the stunning results that they can achieve; they cannot stop themselves from having more and more procedures to improve their looks. In 2008 Americans spent just under $12 billion on cosmetic procedures; $7.2billion was for surgical procedures, and $4.6 billion was for non-surgical procedures. Who has had the most plastic surgery? 3.You can't take more than 10 years off a face. 1 upper lip lift, bottom lip implants. Liposuction on her knees, thighs, abdomen, waist, and jaw-line. "The incredible story of Cindy Jackson who has undergone numerous operations and spent thousands of pounds on cosmetic surgery to make herself look like a living Barbie doll." Brazilian model Angela Bismarchi whose passion for plastic surgery has made her a celebrity in Brazil has had so far 42 plastic surgery treatments, following very close on the Guinness World Record of surgical procedures held by American Cindy Jackson. Bismarchi had her first cosmetic surgery just after her daughter was born. She was just 21 and had her breasts lifted. She liked the result so much that she became fascinated with cosmetic surgery and started having more treatments to achieve her ideal of beauty. In her quest for perfection she married her plastic surgeon and after she divorced him she married another plastic surgeon. Hao Lulu, Miss Plastic Surgery 2003 promoting 'medical beauty enhancement services' by Evercare Medical Institution. The "Beauty Dreamwork Project" organized by EverCare, a Beijing cosmetic surgery clinic, to promote its business. 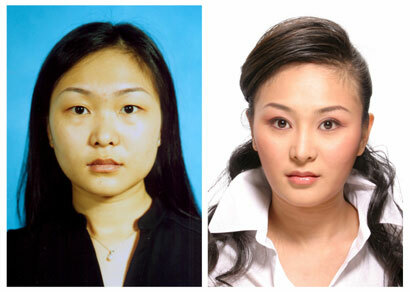 In before-and-after photo Hao Lulu's appearance was indeed radically altered, in particular her eyes, which were given double eyelids to give her a more occidental appearance. The color of her skin was also lightened. The Chinese freelance fashion writer Hao Lulu has had one of the most mediatised cosmetic surgery transformations. The "Beauty Dreamwork Project" as it was known in China, was organized and sponsored by EverCare, a Beijing cosmetic surgery clinic, to promote its business. The project led to a renewal in interest in cosmetic surgery among the Chinese who are seeking a more westernized look. Hao Lulu’s appearance was radically altered, in particular her eyes, which were given double eyelids to give her a more occidental appearance. The colour of her skin was also lightened. Her diary of the 6 months long procedures endured is published online, there she talks about the pain suffered but concludes that she has no regrets. Who has the biggest breast Implants? The record for the biggest breast implants goes to Lolo Ferrari (1968-2000). Lolo was a French dancer and actress dubbed "the woman with the largest breasts in the world". Encouraged by her manager husband, she had 22 breast augmentation procedures - a world record - to create a 180 centimetres (71 in) bust. Lolo Ferrari appeared in the French Guinness Book of World Records in 1996 and again in the Guinness Book of World Records in 1999. The Guinness Book of Records says each of her breasts weighed 2.8 kilograms (6.2 lb). The first American plastic surgeon was John Peter Mettauer who, in 1827, performed the first cleft palate operation with instruments that he designed himself. According to the ASPS Breast Augmentation was the top procedure in 2008 with 355,671 cases reported. "Cosmetic or aesthetic surgery involves techniques intended for the "enhancement" of appearance through surgical and medical techniques. " well said. i ever imagine the Egyptian eyes is very tempting. Very well written hub. The case studies you chose were very interesting. Great hunb and discussion. Well done! I have lost some weight and I could use a little laser lipo to set everything just right. I have been over weight all of my life and although I am happy with my size, I'd like firmer thighs. I work out but it is just taking too long to get the results I want. I am also in nursing school so the stress is overwhelming on my body. I also would like to use the remaining finances on my education. I will be graduating in one more year so hurray for me! I'm all for subtle improvements which give you self-confidence. I regularly have Botox, and no-one seems to notice, but I do - it makes me feel good! But some women really go to extremes! I wouldn't want to pay to have surgery to look similar to another woman either, each woman is unique in their own way. This is a great Hub, I enjoyed it. there are really people who spends so much to change their looks, but if they will feel better and will have more confidence with themselves why not. But it is important to choose the best surgeon, never compromise your health or even your life with a less experienced surgeon or a cheaper operation. Plastic surgery boosts confidence and can really change a person's life. A person with a very nice personality might not have the chance to show how pretty she is inside if she is always feeling bad about her looks. I believe that plastic surgery is no the solution for anyone's problems but it can help a lot. Thanks for commenting Tyler. I agree with SmileyC, as well, but remember that the vast majority of people who seriously consider plastic surgery do so in order to boost their confidence. Not everybody has an attractive personality on the inside but you'd never know it if a person was too shy and withdrawn because they are sensitive about their looks. Confidence is usually an attractive feature, as well. 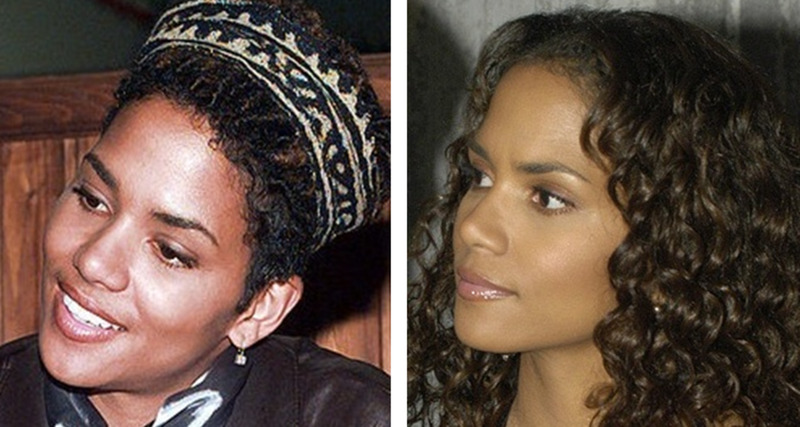 Beauty has also become an art that only a few plastic surgeons can boast about steffsings. I agree SimeyC. However, sometimes inside beauty is not enough, unfortunately we are in a society that judges people by their looks before they have the time to discover someone's personality and inner beauty. Yes PSChannel, a good surgeon can make all the difference, there are too many "horror plastic surgery stories". Plastic surgery must be taken seriously. Great hub, I honestly think cosmetic surgery is fine, just always remember to pick a reputable surgeon. I can't stress enough how important having a good one is. One thing that they can't do with Plastic Surgery is to make someone beautiful inside - that's all I need! Beauty is in the EYE of the beholder and also the HANDS of those with the most expendable cash. Thanks for the info KyonSOS23. I admit that it can be disturding to find people who has had so many surgical procedures in the search for their ideal image Cheeky Girl. It is amazing how different people find personal satisfaccion in so many different things. This is facinating and also a bit disturbing. This deserves wide readership. My eyes have been opened, but not altered. I know I am happy the way I am, and as long as I am healthy and relatively happy, the rest should take care of itself. Thanks for an informative Hub here! You can find packet both travel and Cosmetic at Thailand and South Korea. Thank you so much for an honest opinion on the subject. I like people who says what they think and keep their standpoint. I would go for cosmetic surgery myself if I ever feel the need for it. I think that all the "I want to age gracefully" "I am happy with my love handles" is just a hope, deep down as much as we want to be loved for our personalities, we all want to be wanted and desired at a basic level for as long as possible. Hehehe, you're welcome. Sorry if that came across as a bit rude, though. I don't mean anything against lela for having an opinion, I just dislike it when people get the wrong impression about cosmetic surgery. I mean, sure there are always going to be people who pursue it out of extreme vanity but that shouldn't spoil it for the people who approach cosmetic surgery as a realistic method of boosting their self confidence. And, well, as harsh as it sounds, I don't think it's that unfair to judge people based on looks and wealth if they are going to be a potential mate. That's not to say that you should stop there (personality is just as important), but you should be physically attracted to somebody as well as be attracted to their mind. And wealth (keep in mind not riches) is a factor because it's important to feel steady and secure. Thanks for the reminder Tyler Rutland. Er, just to follow up that statement, I think it's important to realize that the people in the media who are portrayed as spending tens of thousands of dollars on every cosmetic surgery procedure available represent only a small percentage who take it way too far and therefore warrant the media's attention. Most people who go under the knife do not end up looking like side-show freaks. Cosmetic surgery is not about achieving perfection for many people so that they might feel like a better catch in the eyes of prospective mates. Many people are aware that surgery will not make them gorgeous and I think that everybody should be aware that cosmetic surgery won't make up for a bad personality. What cosmetic surgery does help people achieve, though, is a higher self-esteem and confidence. Many people feel like their personality is being shrouded by having a big nose or sagging skin or something and while you can be just as wonderful of a person with these so-called flaws, if cosmetic surgery can take the stress off a person's mind permanently then I think that it's a wonderful invention. It is a very good one. The HubMob team are always finding the best topics. Fantastic second hub in the topic Anath. I think the keyword cosmetic surgery is a good one. How it will be if I write down some 20 hubs on this topic. I have already uploaded 7, I have 13 to go. I shared an airport lounge with Lolo many years ago and all I can say is - gross, not a pretty sight. Think she had an all in one pink plastic suit on at the time, but it is a memory I am trying to erase.